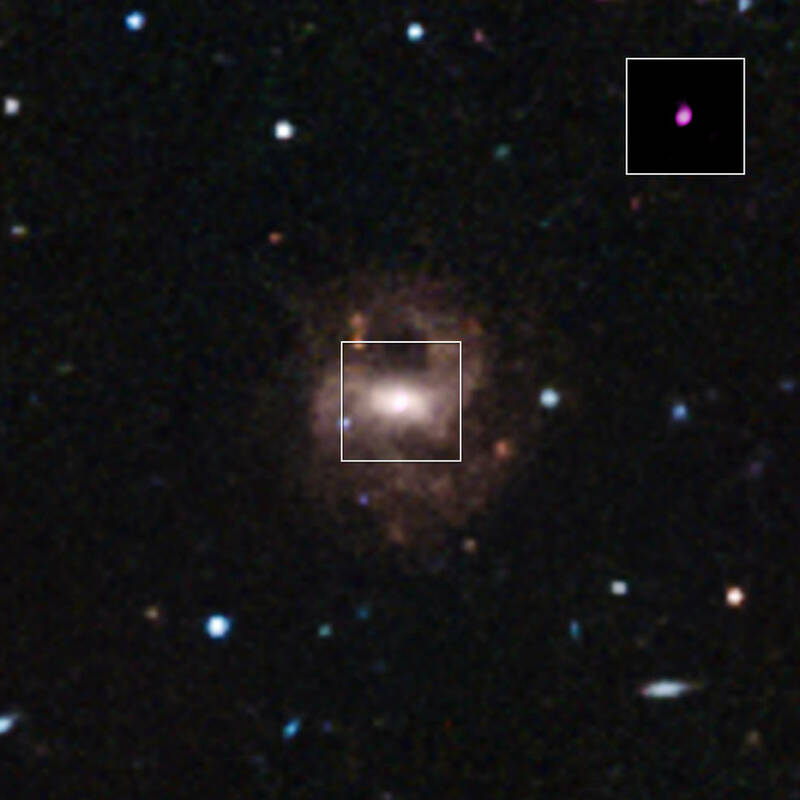 A Sloan Digital Sky Survey image of RGG 118, a galaxy containing the smallest supermassive black hole ever detected. 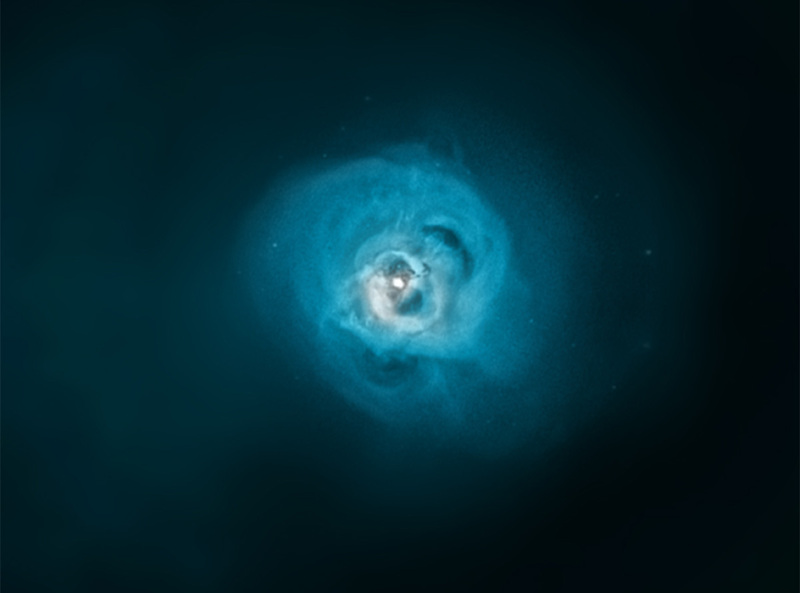 The inset is a Chandra image showing hot gas around the black hole. An incredibly massive double star system called WR20a is visible as the bright yellow point just below and to the right of the cluster’s center. 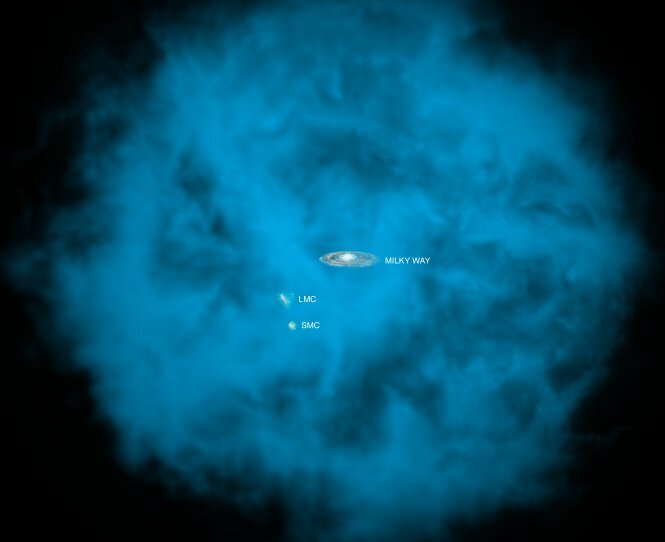 This system contains stars with masses of 82 and 83 times that of the Sun. 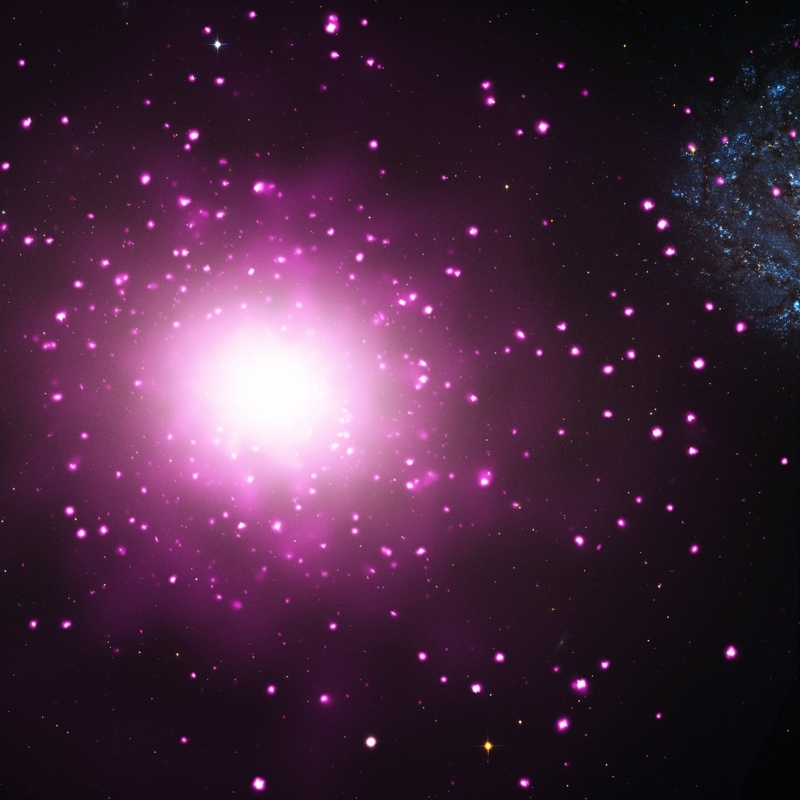 The dense streams of matter steadily ejected by these two massive stars, called stellar winds, collide with each other and produce copious amounts of X-ray emission. This collision is seen at different angles as the stars orbit around each other every 3.7 days. 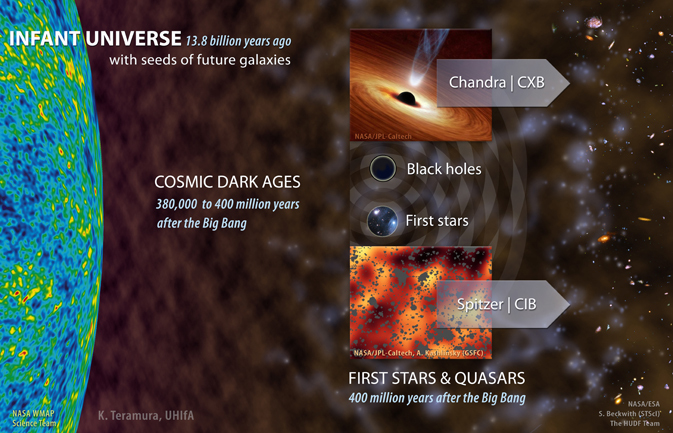 Several other bright X-ray sources may also show evidence for collisions between winds in massive binary systems. X-ray photons–tiny high-energy packets of electromagnetic radiation–are absorbed by encounters with individual atoms. Even though the atoms in the atmosphere are widely spaced, the total thickness of the atmosphere is large and the total number of atoms is enormous. An X-ray photon passing through the atmosphere will encounter as many atoms as it would in passing through a 5 meter (16 ft) thick wall of concrete! X-ray telescopes in orbit above the Earth’s atmosphere can collect X-rays from energetic sources billions of light years away. These cosmic X-rays are focused by barrel-shaped mirrors onto an instrument especially designed to measure properties such as the incoming direction and energy of the X-ray photon. A gaseous or solid material in the instrument absorbs the X-rays by the photo-electric effect.